Designed for hunting and other high-level impact noise environments, this full shell earpiece features a valve that closes in the presence of impact noise, allowing hunters to hear clearly until the weapon is fired. Unlike traditional passive hearing protection, digital hearing protection actually enhances low-level sounds instead of blocking them. You can carry a conversation, detect game, and hear your surroundings while still being protected from gunshot noise. Digital custom hearing protection from is the most advanced way to prevent hearing loss from gunshot noise while enhancing ambient sounds for increased situational awareness. Digital models suppress high-level impulse sounds while enhancing low-level speech that is difficult or impossible to hear with traditional passive hearing protection. Typically, digital hearing protection comes in three different versions. The first digital version provides all-around noise suppression and ambient amplification for a variety of shooting environments. The second digital version offers two modes for either intermittent or continuous shots in addition to ambient sound enhancement. The third version boosts low-level sounds for detecting game movement while providing impulse suppression tailored for continuous shots from larger caliber firearms. The third version has a second mode that reduces wind noise typical in the open range and in hunting stands. The Digital 1 is designed to suppress high level impulse sounds but provide sufficient volume to recover low-level speech sounds, which are difficult or impossible to hear with traditional passive hearing protection. The Digital 2 offers two user selectable digital modes, one for game shooting and one for clay shooting. The game mode boosts lower level sounds, such as approaching birds, to audible levels. The clay mode provides longer limiter release times to prevent ‘pumping’ during multiple, successive gunshots. The Digital 3 includes a normal mode, which provides the highest boost of low level sounds for detecting game moving through leaves and undergrowth. The wind reduction mode uses an program to minimize the amplification of wind noise that’s typical out in the open range and in hunting stands. Whether you’re in the woods or on the range, hearing clearly is key to communication, success and your safety. 100% digital is a brand-new category of electronic hearing protection that enhances environmental awareness while also protecting your hearing from gun blasts. Finally, our top-shelf solutions for hunting/shooting hearing protection include electronic ear plugs and professional lab full custom molded shooter’s ear plugs, both of which provide vastly superior protection for truly serious hunters and shooters. 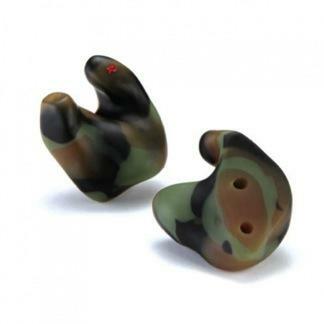 Passive hearing protection is for hunting environments where a low number of shots are fired. It can be worn continuously without discomfort, is always a full shell earplug, and takes the “sting” out of blast noises. It uses small openings and acoustic filters, and allows for awareness of game and tracking dog sounds, as well as easier communication with hunting/shooting partners. Unlike solid ear plugs, valve and filter hearing protectors allow you to hear total sounds and conversations. These devices have a needle valve actuated by a diaphragm and held open by a weak spring. The impulse noise from a shot snaps the valve shut and blocks the sound, and then reopens to pass normal sounds. 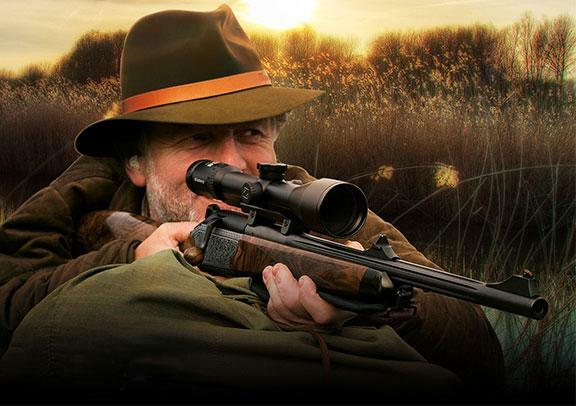 Passive hearing protection is designed for hunters and is not recommended for hearing protection in a multiple gunshot environment, like a shooting range. For more appropriate shooting range protection, consider the solid protector with a pair of earmuffs.